As a former Navy SEAL and canine operator, I have the background and experience in real life hands-on scenarios in the safe and proficient deployment of working dogs and teams in all aspects of Military Special Forces and law enforcement operations. 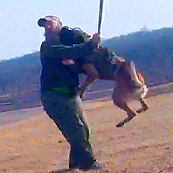 Canine Tactical's training courses are designed to challenge the experienced handler while continuing to provide basic training techniques for new canine teams. Canine Tactical provides each client with proven training methods, real life experiences and a common sense approach. I know what works! We are committed to providing each client with the highest quality working dogs and will customize a training program to meet your agency's individual needs. Canine Tactical will not compromise on quality and is dedicated to teaching each dog and handler to work as a team to achieve their highest potential. Joshua Morton is a veteran of United States Navy serving more than eight years as a Navy SEAL. Joshua became the first military working dog handler for SEAL Team Four. He served as a SEAL operator and canine handler during five deployments in Iraq and has extensive first-hand experience on numerous missions in the successful utilization of a canine in combat. While deployed in Iraq he served as the subject matter expert in Joint Task Force combat missions with several U.S. allies and host nation commands. Jamey specializes in all aspets of the working dog field and works as a decoy. He is experienced in training both Law Enforcement and Military handlers in Police Patrol, Narcotics Detection, Explosives, Apprehension and Obedience. 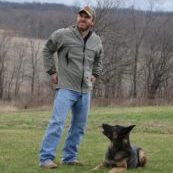 Jamey's experience includes serving as a Combat Mission Explosive Detection Dog Handler in Afghanistan and a former Canine Trainer with the U.S. Department of Defense overseas. He is also experienced in puppy development for family companion and personal protection.